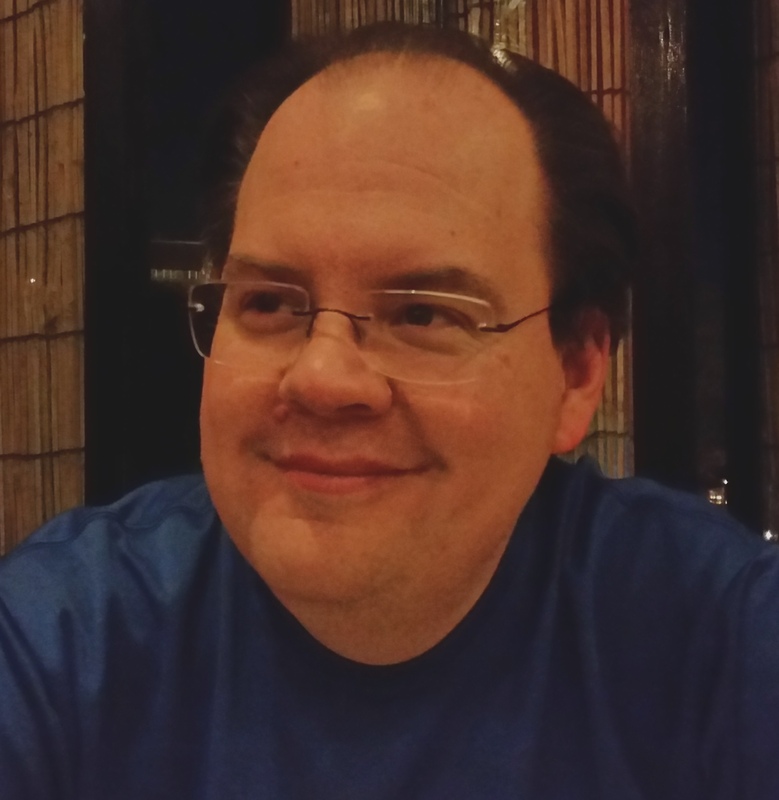 Today, The Writing Life is pleased to interview fantasy and science fiction author, JD Byrne. JD Byrne was born and raised around Charleston, West Virginia, before spending seven years in Morgantown getting degrees in history and law from West Virginia University. He has practiced law for more than 15 years, writing briefs where he has to stick to real facts and real law. In his fiction, he gets to make up the facts, take or leave the law, and let his imagination run wild. He lives outside Charleston with his wife, a one-eyed dog, and a black cat. The Last Ereph and Other Stories is his first book. The stories in The Last Ereph . . . are fantasy and science fiction, with a couple that probably snuggle up close with horror. The science fiction stories are all set in times close to our own, while the fantasy ones tend to take place in very strange locations. 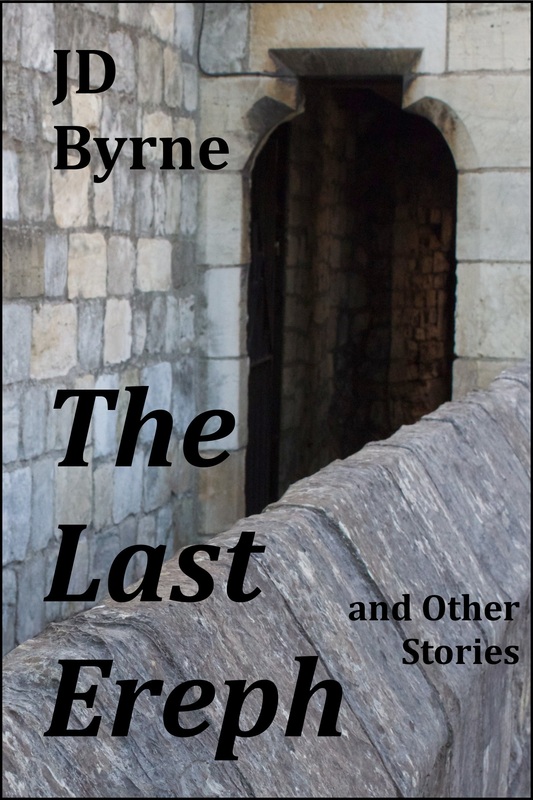 The Last Ereph and Other Stories, as the title suggests, is a short story collection. There are ten stories without any common theme, aside from the fact that I wrote them. Here are some specifics about a few of those stories. “To Watch the Storms” was inspired by a thunderstorm that rolled through Richmond, Virginia, where I was staying at a hotel, getting ready to go to court. Even the average summer thunderstorm can hold untold wonders, if you’re patient enough to see them. “The Dragon of the Bailey” is about a dragon who is being held captive, and who seizes help when it comes to him from an unlikely source. I wrote it after I read about the ravens kept in the Tower of London. Legend says so long as they stay there the kingdom will thrive, but they clip their wings so they can’t fly away. Seems like a stacked deck, to me. “The Mask” is a flash fiction story about a creepy-looking artifact that turns out to be more than it appears. “Jury Duty” is the only story that ties somewhat into my legal life. It’s about a guy who gets called for jury duty, finds a stumbling block, and runs with it. He gets dragged into court, required to be there, then finds out he isn’t modern enough to be a part of the trial. It was fun to be able to play around with a courtroom setting, given my day job. In “the Missing Legion” a hunter in pursuit of big game stumbles into a ritual he was not supposed to see. This is set in the world of The Water Road, a fantasy trilogy I’m working on. Book one should be out early in 2016. Finally, “The Last Ereph” is about a thief in a distant land. After stealing a precious gem, he seeks sanctuary and finds a treasure of an entirely different sort. The title of the book is the title of the final story, the title track if you will. It’s an older story, one that I started writing between sets at a music festival in North Carolina. I thought it was a good encapsulation of what I do. Also, it allowed me to put a made up word – “ereph” – on the book cover, which I hope will resonate with readers of fantasy and the like, make them want to find out what it means. Several of the other story titles come from songs, although most people probably have never heard them – “To Watch the Storms” (Steve Hackett), “Memory of Water” (Marillion), and “Elephant Talk” (King Crimson). Short stories are where I started writing seriously, since they are, in a way, easier to manage than novels. I slid over into working on longer things (some of which will be coming out soon), but always had these stories that I wanted to share with readers. When I decided to jump into independent publishing, that was a great chance to go back to them, revisit a few, and send them out to the world. I think my favorite part is when things don’t go as planned. I try to lay things out fairly well before I start something, so I’m not flying completely by the seat of my pants. Nonetheless, times come when I find I need to add a new character or a new scene to get something accomplished. Those moments, when I’m really creating on the fly, are really fun. I had that happen with a story that should come out next year. I needed someone for the main character to interact with in a particular scene and wound up creating this completely new character that I fell in love with. She might get a spin off! Getting started, I think. It’s one thing to plan, it’s one thing to think about all you want to do with a project, but it’s really another to sit down and start writing. Once I get started, I tend to get on a roll, but sometimes the initial phase of spilling (virtual) ink onto the page can be daunting. It’s a cliché, but there is something daunting about the blank page. Once something has started, it’s easy to sit down, pick up where you left off, and keep going. There’s a momentum that develops. But when you’re just starting there’s nothing like that to ease you into it. With the caveat that favorite doesn’t necessarily mean I wind up writing anything like them, one of my first favorites was Douglas Adams. My brother introduced me to him. I had no idea that science fiction could be so funny, yet still get at deep truths about what makes humans tick. More recently, I’ve come to love Neil Gaiman (to whom I was introduced by my wife). The worlds he creates, even in his short fiction, are so rich and alive. I also appreciate his desire and ability to skip across genres without any real care about whether readers follow him. Other favorites are John Scalzi (for his non-Old Mans War stuff), Margaret Atwood (glad she’s finally come around on admitting that she’s written science fiction), Kurt Vonnegut (what needs to be said? ), and George RR Martin (made me rethink what epic fantasy could be). Outside of any author of any book I’ve ever read, I’ve always drawn a lot of inspiration from music. I admire musicians like Frank Zappa or Brian Eno, who have been determined to do their own thing, critical and popular reception be damned, and wind up breaking through anyway. I also draw a lot of inspiration and have a lot of respect, for musicians I’ve listened to for years who aren’t big names, and can only do what they do because they love doing it (such as 3rDegree, echolyn, Thinking Plague, and The Tangent). As an independent author, that determination rings very true. I don’t really have one. I can’t write legible longhand to save my life (ask my coworkers! ), so I generally have to do it at a computer. I do most of my work on the computer in my studio, which also serves as the hub of a music production setup. So I write surrounded by synthesizers. It’s kind of surreal, at times. Before I met my wife I was not an animal person. Never had pets, had even developed a dislike of dogs from days delivering newspapers. But she had a dog and two cats and that was that. I’ve gone so far the other direction that on our recent trip to Cambodia, I took more pictures of critters than of people! Since this is my first book and I published it independently, the entire process has been a learning experience. I’d never really played around with issues like layout or cover design before. I think my biggest surprise was how many little issues come up along the way, from the proper running order for the stories, to getting all the formatting details right across the various platforms. I think the biggest thing that helped me was making the decision to do it myself and stick with it. Before that I felt like I was in this kind of literary limbo, producing this material that wasn’t going to have a home anywhere. Now if feels like I can see the end of the process for each project and that helps keep things moving. Do it yourself! No, actually, do your research and think long and hard about how you want to publish, and what you want to get out of publishing. In the end, the most important parts for me were keeping control of the material and being able to set and keep my own deadlines. But every writer is different and what works for me might not work for others. Listen, learn, think. Always good advice, I hope. My website is www.jdbyrne.net There you can find my blog, info on The Last Ereph . . . (and future books), and links to my homes on Facebook, Twitter, Librarything, and Goodreads. The Last Ereph . . . is available online in paperback and Kindle versions from Amazon and in eBook format from Barnes & Noble, iBooks, Kobo, and Inktera. It’s also available at select independent bookstores, like Empire Books & News. Up next is a novel that I’m finishing called Moore Hollow. It’s about a disgraced English journalist who is sent to the West Virginia coal fields to investigate reports that a politician back in the early 20th Century raised the dead so they could vote for him. It plays off a bit of West Virginia’s reputation for less than savory politics and “dead people voting” in some spots. I hope to have it out by the fall. Beyond that, I have a three-volume fantasy series, The Water Road, that is about an uprising of an oppressed people and the ramifications of that. I hope to have it out, at least the first two volumes, by 2016. I’m giving away a free copy of The Last Ereph and Other Stories in paperback or ebook forms. For paperback, visit Goodreads and enter the giveaway, running March 27 to March 30. For ebooks (Kindle, ePub, or PDF) visit Librarything and enter the giveaway, running until April 6. Thanks for visiting today, JD. Best of luck with the books! My pleasure, JD. All the best with your books. Getting started (or rather making myself get started) is always the hardest part of the process for me as well. I was trying to explain that to somebody the other day, why starting is harder than continuing, and the best analogy I could come up was with music. It’s one thing to have a note or a chord and figure out where to go from there, but it’s totally different to have to come up with the FIRST note, from which all the others will grow.